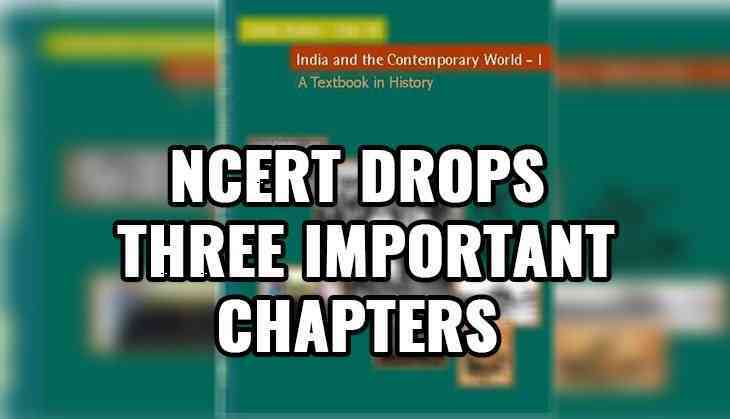 Class 9th students will have to see a major change in their History textbook as the National Council of Educational Research and Training (NCERT) has dropped three chapters. As per the reports of indianexpress.com, NCERT has dropped three chapters including the one chapter that illustrate about the caste conflict through the struggles of the ‘lower caste’ Nadar women of Travancore, who were forced to keep their upper bodies uncovered. This decision was taken by the HRD Minister Prakash Javadekar and almost 70 pages have been deleted from the textbook, titled India and the Contemporary World – I. With this initiation, the pressure on students would be minimised. Reportedly, this is the second has been reviewed by the current government. The newly revised book will be available this month before the new academic session begins. Earlier in 2017, NCERT has also made around 1000 changed which included the data upgradation, addition and correction in 182 textbooks.